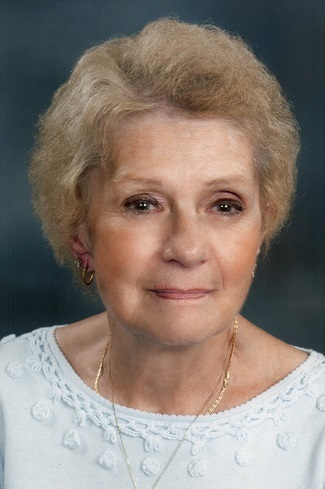 Mary Anne DeLazzer; 88, of Elkhorn, WI died Thursday January 24, 2019 at Aurora Lakeland Medical Center Elkhorn, WI. She was born June 3, 1930 in Chicago, IL the daughter of the late Charles and Mary (Rodde) Rotchford. On April 25, 1953 in Chicago, IL she was united in marriage Albert A. DeLazzer. He died August 10, 2000. For 20 years Mary Anne worked as a manager for Sears & Roebuck retiring in 1983. Mary Anne also worked in the family business as a bookkeeper. She was a member of St. Patrick’s Catholic Church of Elkhorn involved in many of its functions including St. Joseph’s Table, serving as a Eucharist minister and working at funeral luncheons. She was a very good cook. Mary Anne was a loving and devoted wife, mother, grandmother and great-grandmother who will be deeply missed by her family who include her two children: Richard DeLazzer of Elkhorn, WI and Marjorie (Dennis) Capiga of Schaumburg, IL, four grandchildren: Jason (Kate) DeLazzer of Whitewater, WI, Elizabeth “Betsy” (Nick) Moehling of Elkhorn, WI, Kathryn “Kate” (Bill) Ahert and Thomas Capiga all of Schaumburg, IL, four great-grandchildren: J.J., Jordy, Maddy and Nora, three sisters: Virginia Weigel of Huntley, IL, Pat (Donald) Rotchford of Northbrook, IL and Margaret (Tom) Budziack of Tucson AZ and by a host of relatives and friends. She was preceded in death by her husband of 47 years, Albert and her two brothers: Charles and Edward. Mass of Christian Burial will be held 11:00 AM Thursday February 7, 2019 at St. Patrick’s Catholic Church 107 W. Walworth St. Elkhorn, WI. Visitation will be at the church from 10:00 AM until time of Mass. Burial will be at Mt. Olivet Cemetery Elkhorn, WI. Memorials may be made in Mary Anne’s name to: American Cancer Society N19W24350 Riverwood Drive Waukesha, WI 53188. On-line guestbook is at www.haaselockwoodfhs.com. Arrangements completed by Haase-Lockwood & Associates Funeral Homes and Crematory of Elkhorn, WI.